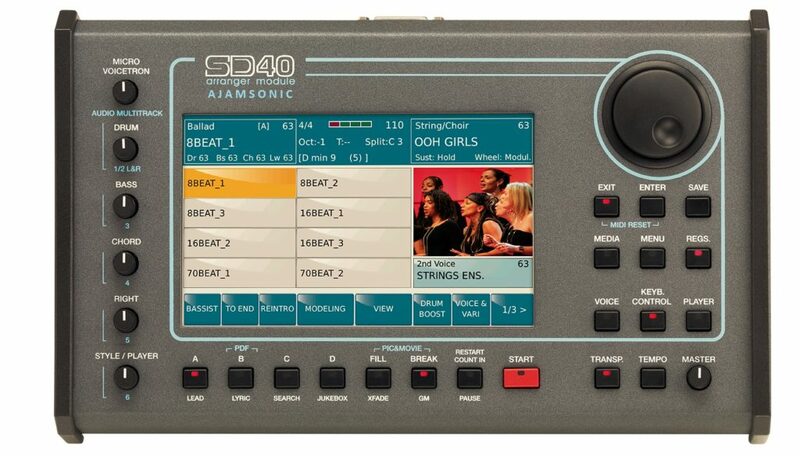 In some recent videos, we started to work with a Ketron SD40 and some things that are possible when connected to a full console organ. In the next round of videos, we want to show you some details of the SD40 itself. As part of that, we wanted to show that the SD40 can be used with a simple MIDI controller. You certainly don’t need a full console organ to take advantage of the SD40. It can be used with just about anything that can send MIDI data. In this example, we are using a Roland A-800. All sounds and styles are from the Ketron. This particular Roland has no sound capabilities of its own. In upcoming videos, we want to show you the 2nd voice feature and a little more about the voice editing and layering functions. Both of those features are important to understand especially for our Wersi friends who are looking to layer more than one sound on the Ketron but control those sounds from the console of their Wersi organ.